Oliver Knussen conducts Britten's Cantata Academica, Four Sea Interludes and Passacaglia from Peter Grimes, and Spring Symphony. Presented by Tom Service from Snape Maltings. 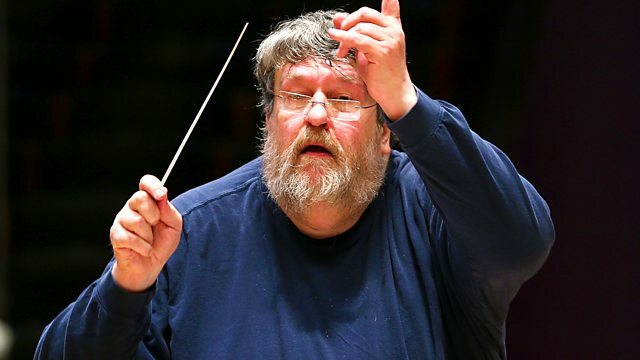 Who better to lead the Britten Centenary Concert than Oliver Knussen? Since first meeting Britten as a young child, to becoming Artistic Director of the Aldeburgh Festival, and helping to shape the Britten-Pears School, the composer-conductor has been inextricably linked with Britten's legacy. Any Knussen concert is special but this one, coming from the superb Snape Maltings Concert Hall, created by Britten himself, is unmissable with its combination of the rarely heard, well-known and new. The concert's first part has the ebulient Cantata Academica, whose tongue-in-cheek title has surely kept it a rarity, and the famous Sea Interludes and Passacaglia from Peter Grimes. A specially commissioned world premiere by Ryan Wigglesworth starts the second half which ends with Britten's first major orchestral work, the Spring Symphony. It's a vibrant celebration of the seasons, with wonderful settings of English poetry (and cow-horn), the perfect piece to end a special occasion. Presented by Tom Service, who talks to composer Ryan Wigglesworth and Lucy Walker from the Britten Pears Foundation in the interval.